Ice cream manufacturer Ben and Jerry’s is organising tasting sessions in all its scoop shops in the USA. The new vegan flavours “Cinnamon Buns” and “Peanut Half Baked” will be offered. These do not contain any animal ingredients, as almond milk is used as a base. 20 percent of Ben and Jerry’s ice cream range is now produced without cow’s milk. The manager of the Ben and Jerry’s brand – Neila Horikawa – commented on the new release of the milk-free ice cream flavours as follows: “The company is very pleased with this product line and fans have been eagerly awaiting the new flavours”. 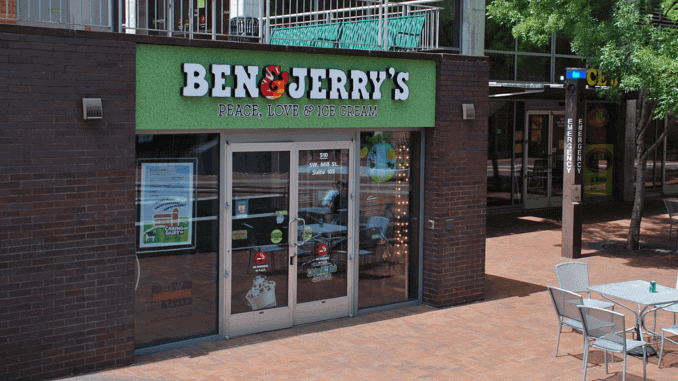 Ben and Jerry’s uses trial tastings to market its plant-based creations, which offer customers the opportunity to test the rather expensive ice cream in advance. Tastings have already taken place in New York, Seattle and Philadelphia and will continue at the end of the month in San Francisco. The cities of Los Angeles, Boston and Washington DC will follow. But Ben and Jerry’s is not the only company which would do well to opt for animal-free ice cream alternatives, as a market report by “Future Market” has shown. According to the report, the global market volume will grow to 2.45 billion US dollars within the next decade. No wonder that besides Ben and Jerry’s, brands such as “Das Eis” are also entering this market. In an interview with Florian Meyer (german) – Managing Director of Das Eis – he emphasized the popularity of almond milk-based ice cream and showed how the product has already spread in the catering industry. In view of the high demand and the positive market forecasts, the emergence of new brands and unusual flavours is likely to continue.